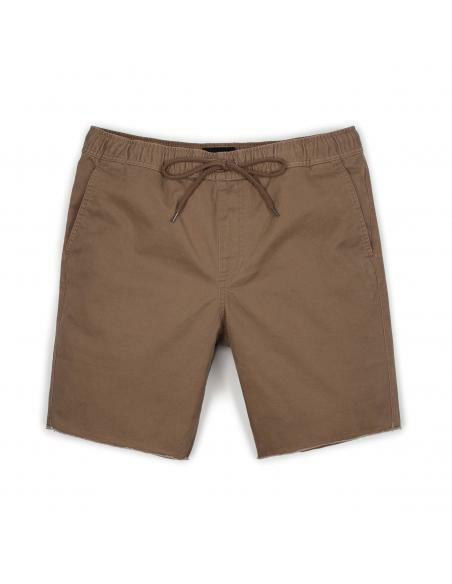 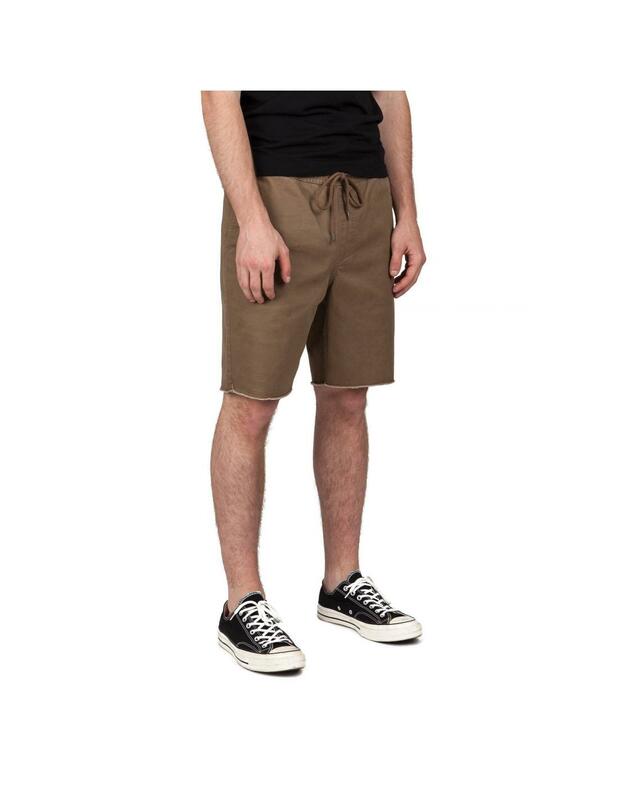 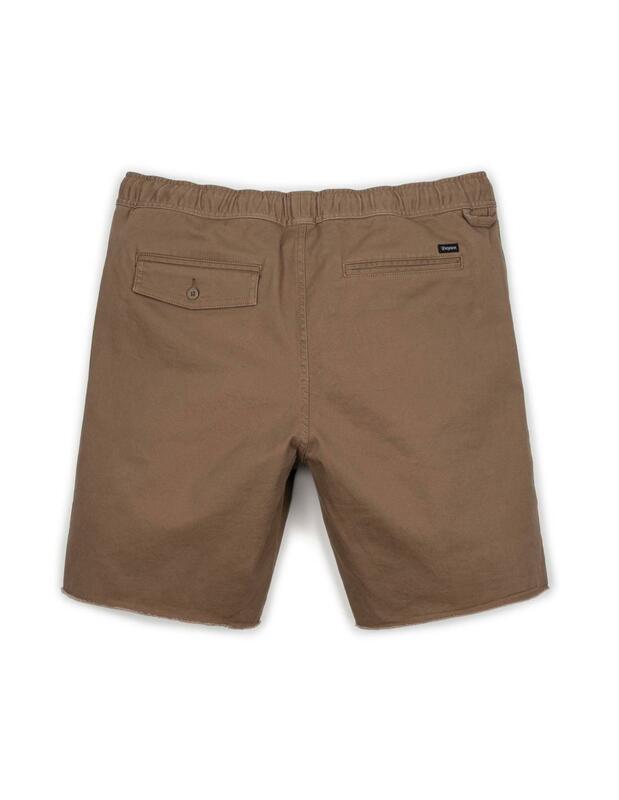 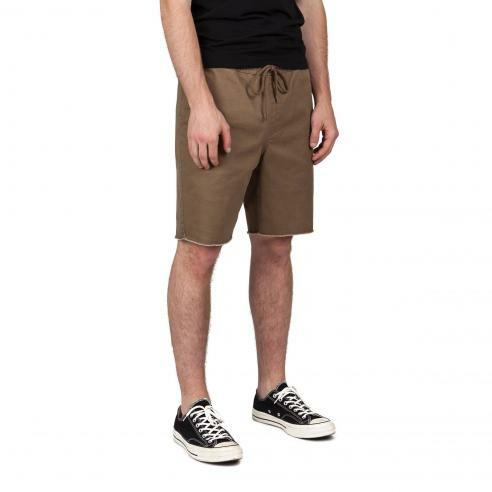 The Brixton Madrid is a relaxed fit chino walkshort with a straight leg made in an 8.5 oz. cotton twill with 2% stretch. 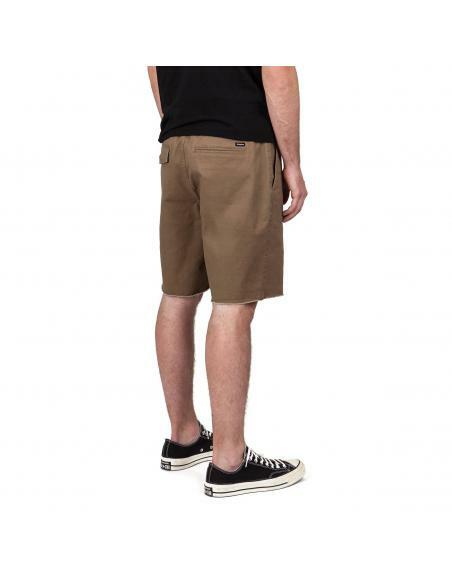 It features an elastic waistband with adjustable drawcord, custom Brixton labeling, frayed leg hem, and a 19" length.